Mrs Sarah Hulton OBE has been appointed British High Commissioner to the Democratic Socialist Republic of Sri Lanka. 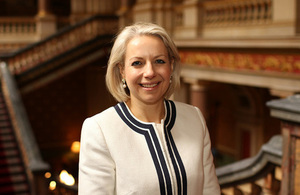 Mrs Sarah Hulton OBE has been appointed British High Commissioner to the Democratic Socialist Republic of Sri Lanka in succession to Mr James Dauris. Mrs Hulton will take up her appointment during August 2019.